History literally seeps out of the streets in Hot Springs, Arkansas, where the steam from the thermal waters that give the town its name often curl and roll across the pavement. 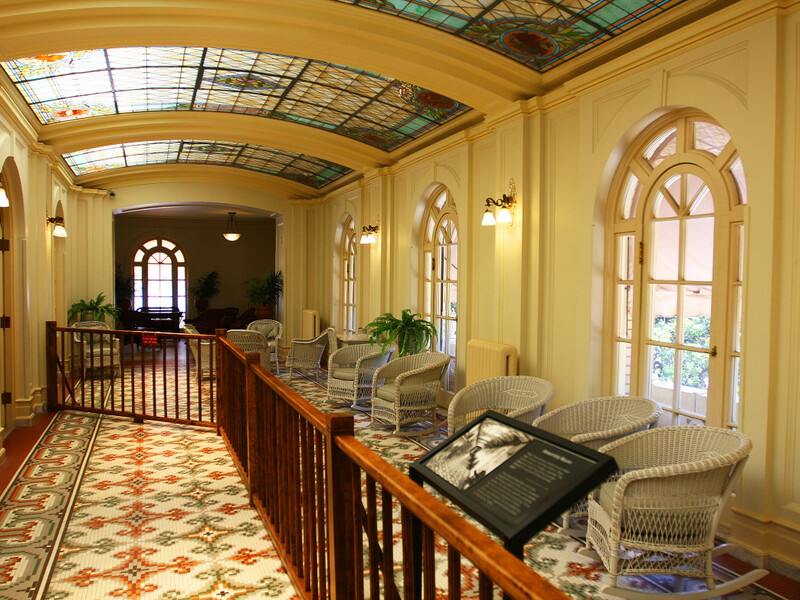 Nestled unexpectedly on a busy street lined with tasteful shops and restaurants, visitors to Hot Springs National Park often miss the beautifully restored Fordyce Bathhouse, which serves as the visitor center and main entrance. For centuries it’s been believed that the mineral-laden thermal waters that bubble out of the mountain possess medicinal or therapeutic properties and these waters were a subject of legend among several Native American tribes. 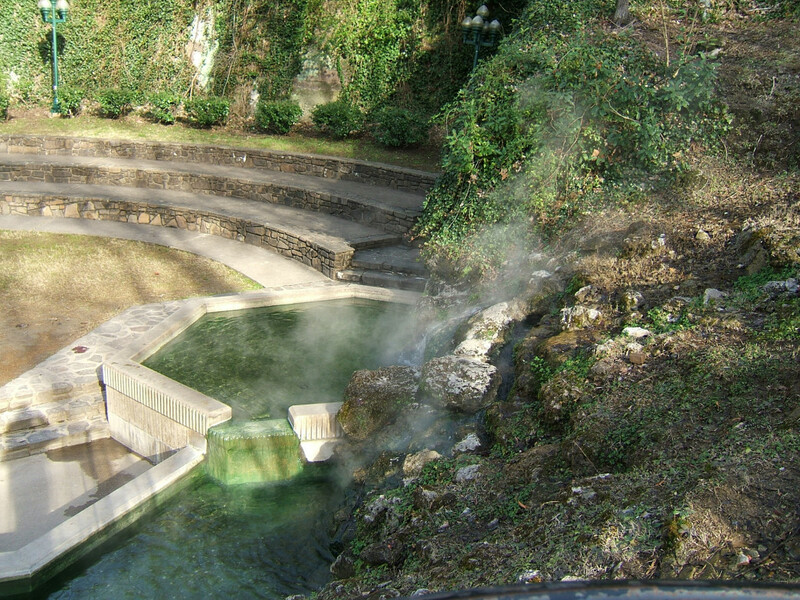 The hot springs were so prized in fact, that in 1832, President Andrew Jackson had the 47 hot springs and the watershed of Hot Springs Mountain set aside as the first federal reservation, effectively creating the start of the national park system which would become official in 1916. The name was changed to Hot Springs National Park in 1921 when it officially became the 18th in the Service. Following its protected status, the city soon developed into a booming destination nicknamed “the American Spa,” popular with locals, presidents, athletes, outlaws, and other notable figures who wanted to “take in the waters.” This health fad continued in popularity from the mid-1800s well into the 1930s and a traditional treatment from over 50 years ago can still be experienced in the park today. 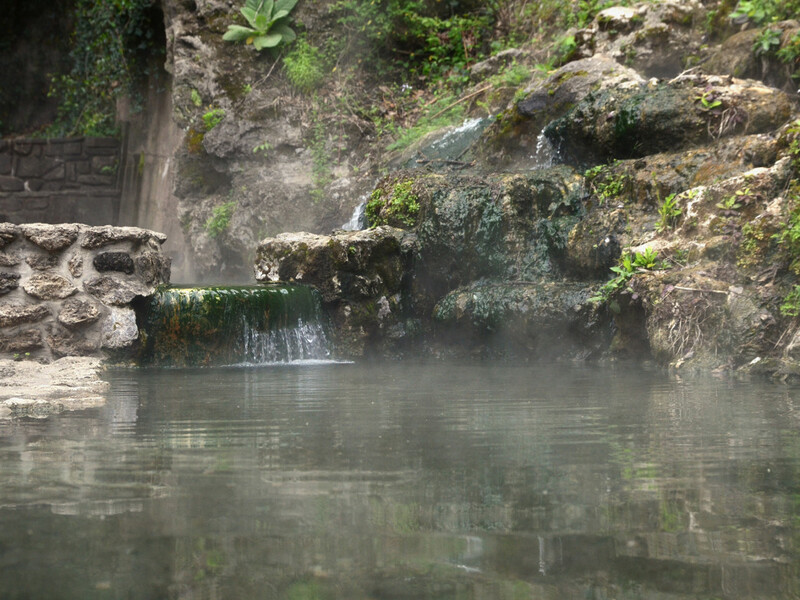 The smallest of the national parks, Hot Springs covers a modest 5,550 acres, but it has an unusual mission “to protect its unique geothermal spring water and associated lands for public health, wellness, and enjoyment.” Designed to make sure this incredible resource was available to all the people, not just the wealthy, HSNP is the only park in the system mandated to give away its main natural resource, the water itself, free to the public. Indeed, the park is serious about its mission, and staff use the park's history and resources as a springboard to promote programs and activities that support health and wellness goals. A bit unexpectedly, the best adventure to be had in Hot Springs National Park happens behind closed doors. The Buckstaff is the only remaining operational bath house within the boundaries of the national park and has been in continuous service since 1912. There are a few packages for a traditional bath, the most popular being the Whirlpool Mineral Bath, a several-step process that begins with a soak in a 110-degree tub, followed by a scrub down with a loofa, a soak in a tub where hot water pours down on you, a sit in a vapor cabinet (aka sauna), a hot pack wrap, and a stint in the off-puttingly named “needle shower.” You’ll come out with softer skin than you’ve ever known and an appreciation for what “taking the cure” meant for thousands of people whose last hope was the alleged miracle of the thermal waters. If full immersion doesn't sound like fun, there are three outdoor pools where you can touch and appreciate the clarity of the 143 degree (F) water. 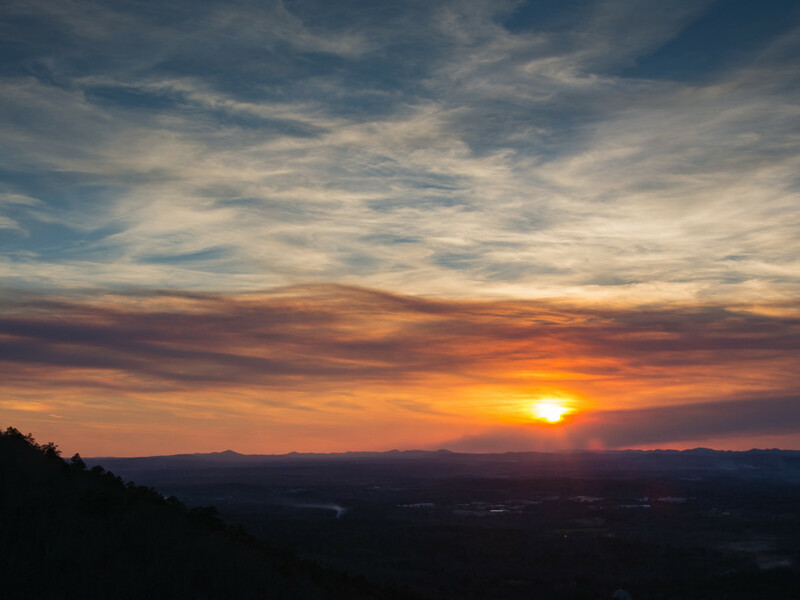 Pack a picnic and take advantage of the panoramic views from one of the two popular scenic mountain drives on West Mountain and on Hot Springs and North Mountains. There is an observation tower on top of Hot Springs Mountain. There is fee to go up it but it’s well worth the climb on a clear day. There are picnic tables at the Grand Promenade, Hot Springs Mountain, West Mountain and Gulpha Gorge overlooks. The park can be explored via the 26 miles of day-use, hiking-only trails. The only trail offering up a full day of adventure is the 10-mile Sunset Trail. It can be done in one big day, but is more often split up into three shorter hikes. The most popular route is first section on West Mountain which is the most convenient to town and amenities. The scenic second section traverses a towering mixed pine and hardwood forest on Sugarloaf Mountain and reveals a nice view of Balanced Rock. The third section passes through land on Stonebridge Road that was once part of the Fordyce family estate. Expect to find a nice variety of wildflowers and some of the more shy wildlife such as wild turkey and white-tailed deer. A local favorite is the 1.7-mile Hot Springs Mountain Trail, an easy-to-moderate climb leading through a pleasant forest of mixed hardwood and pine. Views emerge along the way. The trailhead is at the Pagoda shelter just below the Hot Springs Mountain Tower. The 1.6-mile Dead Chief Trail is the best way to walk from Bathhouse Row to Gulpha Gorge Campground. At first, the route is quite steep, then the trail levels off and continues across the south slope of Hot Springs Mountain. This trail follows a portion of a historic "fitness trail" from the early 1900’s that was part of healing regime at the hot springs resort. After a day of bathing, hiking and soaking up history, camp out in the park at the well-kept Gulpha Gorge Campground. Watch the crawfish play while cooling off by dangling feet in the crisp stream. Offered on a first-come, first-served basis, both basic sites and some with RV-hookups are available. There are restrooms, but no showers. Hot Springs is the only national park that has its own brewery inside its borders, check out the privately operated Superior Bathhouse Brewery. You can try a flight of beers hand-crafted from the pure thermal waters. When in season, bring a basket and try your luck gleaning the following fruits and nuts from the forest: plums, blackberries, hickory nuts, persimmons, grapes, muscadines, blueberries, and juneberries. The National Park allows collection only for personal consumption. 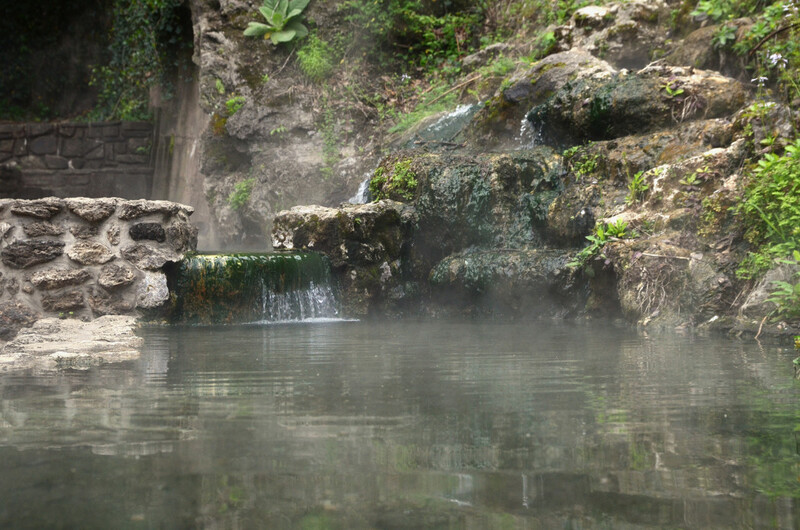 While the main highlights of the park can be enjoyed in 3-4 hours, it’s easy make a weekend out of your visit by taking advantage of the many other attractions offered by the historic town of Hot Springs. A few things you can try out are mining for the rich crystal deposits in the Ouachita Mountains. Take a stroll through the breathtaking Garvan Woodland Gardens. Delve into history and learn how notorious criminals like Al Capone and a cadre of others played a part in this little town at the Gangster Museum of America. Dress up and make a night out of racing and gaming at the famous Oaklawn race track. Or wander through the local Farmers Market during the summer and early Fall. If possible, plan your trip in the autumn when the spectacular colors can best be appreciated. Bring several empty jugs to take home some of the free thermal water. Jug fountains are located on Reserve Street, at Hill Wheatley Plaza on Central Avenue, and on Bathhouse Row between the Hale and Maurice Bathhouses. When parking in town pay attention to the meter, traffic police do ticket for violations. In the woods stay alert to avoid contact with poison ivy, ticks and especially snakes, as the park is home to copperheads, cottonmouths and rattlesnakes. Eat a cupcake at Fat Bottom Girl's Cupcakes. The salted caramel is their top seller for good reason.